Today Camden Council and its partners released designs for three new and improved green spaces in the heart of London: Princes Circus in Holborn, and Alfred Place and Whitfield Gardens off Tottenham Court Road. 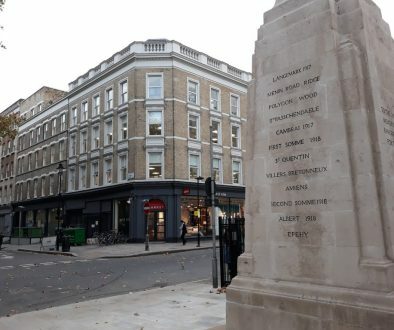 These new and renewed public spaces form part of the West End Project, the biggest Camden council-led transport scheme the borough has ever seen. The West End Project will address poor air quality, traffic congestion, and road safety. “It’s time to green the West End, or Camden’s part of it at least. We are creating a totally new park in Alfred Place, innovatively turning road space into green space. This will be the first new park for this part of the borough in a quarter of a century. 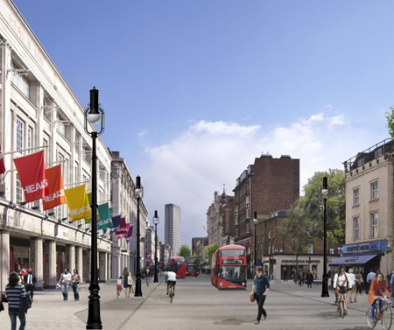 We will also transform Princes Circus in Holborn and Whitfield Gardens close to Goodge Street tube, both of which can be much improved. We are working with LDA Design and will also create a string of pocket parks along Tottenham Court Road at Capper Street, Bedford Avenue, and Bailey Street. We are also adding over 20 new trees across the area. Last month the project moved into the main phase of work, with new high quality granite paving being laid on Tottenham Court Road. 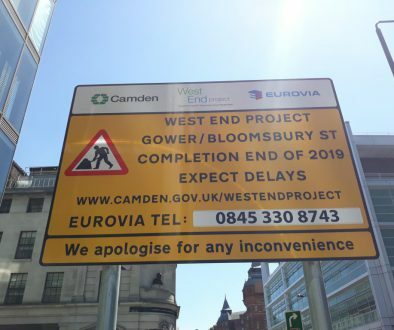 The work is taking place in phases across Tottenham Court Road and Gower Street/Bloomsbury Street to reduce the impact on residents, businesses and visitors.